This past weekend, I went shopping at two malls to check out all the latest trends. 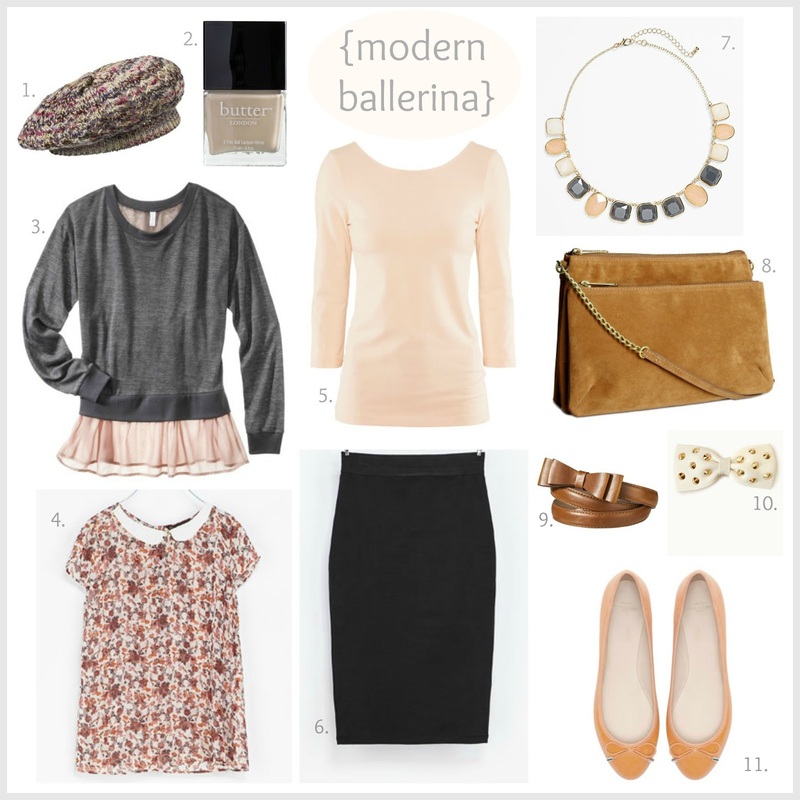 I noticed very feminine and ballerina-inspired pieces at several stores, also heavily influenced by French style. While most fall items dictate a darker color palette, pastels are actually a new trend for fall and look especially current paired with camel brown, greys or navy. Extra points for topping this look off with a topknot! One of the leading trends this season is a one-piece sweater with a blousy fabric peeking out that mimics a sweater over a shirt, sounds complicated, but trust me, it's cute! I had my eye on this Masion Jules sweater, but now that Target has made an affordable version, I'll be picking up theirs instead, since it is such a seasonal and trendy piece. Don't forget to put a bow on it la Kate Spade with this adorable belt. I am loving everything from Zara this season and they carry so many affordable and well made pieces, I feel compelled to stop there every weekend, even if I am just browsing..for now anyway. Will you be shopping this style? I love those sweaters with the frill too. I had my eye on the one at Macys, but now Target too! Oh but Phillip Lim has one at his Target collection as well! So many options. I might need to get the BP necklace soon. Shopping is so hard, lol!! Well it is for us that can't make decsions anyway ;-) I love the colors in the necklace, def a must have for fall. BRB going to Target and buying that #3 sweater! I love that so much!!! Haha, okay Jackie, after reading this I'm going to assume to went shopping at Target, lol. Hope you find the sweater at your store, ot's so cute!